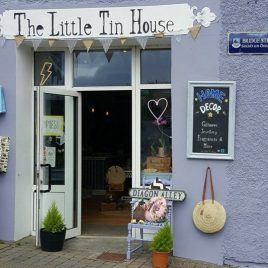 The Little Tin House is a home decor shop based in Clifden. We have a whimsical mix of carefully selected vintage treasures and modern home accessories with that quirky flair. We also supply chalk paint and are happy to help you with hints and tips on upcycling techniques to inpsire creativity in your home. With home wares, fragrances, baby gifts, jewellery, giftware and so much more!